Saff stands for South African Finance Facilitator, assisting individuals and companies with the tricky process of obtaining finance. 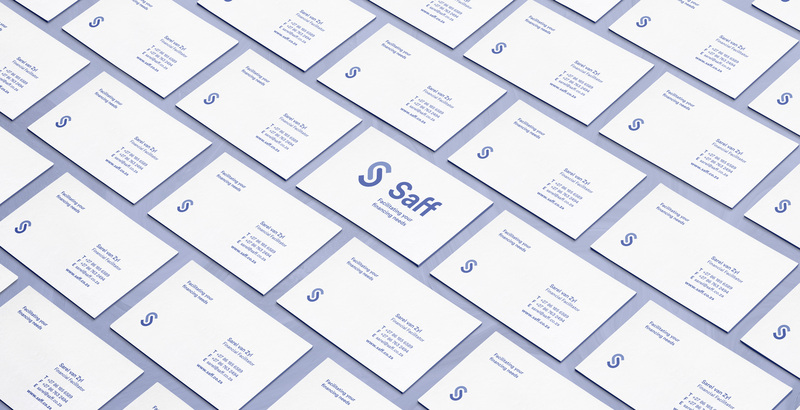 Saff needed a strong, stand-out brand that communicated professionalism, security and technical know-how. The logomark represents two stakeholders coming together, creating a smooth S in the negative space. This interlocking signifies security, reliability and partnership. The dark blue colour palette is calm and knowledgable, positioning the brand within the finance sector.